Four years ago, the Franklin girls’ soccer program made history when it brought home its first state title. Although Kristi Kirshe (rightfully) drew most of the attention for her goalscoring exploits that season, there were also a few freshmen that contributed to the championship. Among the underclassmen getting regular playing time was a pair of sisters, Victoria and Alexis Stowell. Now seniors, they are the Panthers leading scorers this fall and once again have Franklin poised to be one of the top seeds in Div. 1 South when the brackets are released on Monday morning. With a state title, two sectional titles, and three sectional final appearances, not to mention four Kelley-Rex titles, the Stowell sisters have drawn plenty of deserved attention, but this year another Stowell sibling, David, is also trying to make a name for himself in the postseason. David will be getting his first taste of the playoffs. 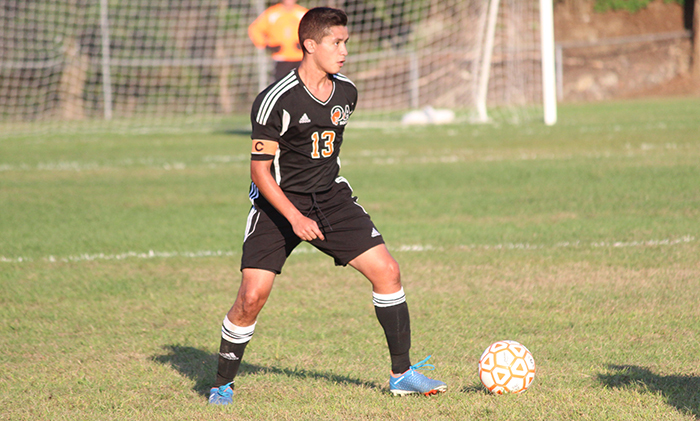 He spent some time with varsity as a junior and was on the roster as the Panthers reached the South quarterfinal before bowing put on penalties against Silver Lake. This year, he is a regular in the lineup and has provided scoring punch either in the starting 11 or off the bench. If he does need support or advice about what the playoff experience is like, he can get plenty from his sisters. The sisters provide that support for each other on the pitch as well as at home. Victoria leads the Panthers with 24 points, including 17 assists, and Alexis has chipped in with nine goals and 16 points. It has become a common sight in the score book to see the Stowell name listed in both the goal and assist columns. 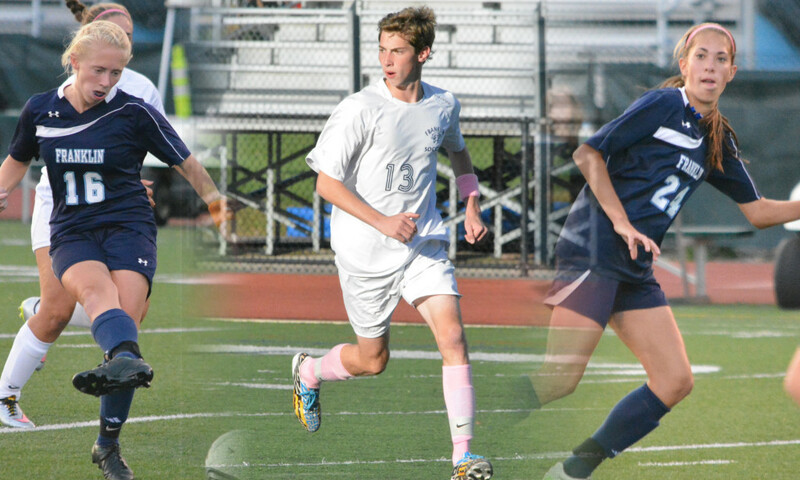 The triplets began playing soccer as very young children, following in the footsteps of their father. All three tried other sports while growing up but it was soccer that stuck and they quickly progressed from the town recreational leagues to travel leagues to club programs. Although their busy schedules in the spring and fall make it tough, they still find time to practice in the backyard on the two nets set up there. As the years went by the siblings also developed different traits on and off the pitch. Alexis is “impulsive,” according to Victoria, and aggressive on the pitch but very quiet off it, as is David, and Victoria goes from being “all business on the field,” as her coach described, to being gregarious during interviews. “I think it’s something our coaches have instilled in us, soccer is business and you can have fun after you win,” said Victoria. There has been plenty of success in recent years for the girls’ program and as seniors the Stowell sisters now have a better understanding of what it takes to win it all. David spent as much time as possible cheering on his sisters the past few seasons, but he is looking forward to his own chance at adding to the family’s trophy case. He chuckled when it was suggested that it may be nice to have the upper hand for once and get further than his sisters in the tournament, but he said that it is good to know that the triplets are always there for each other.